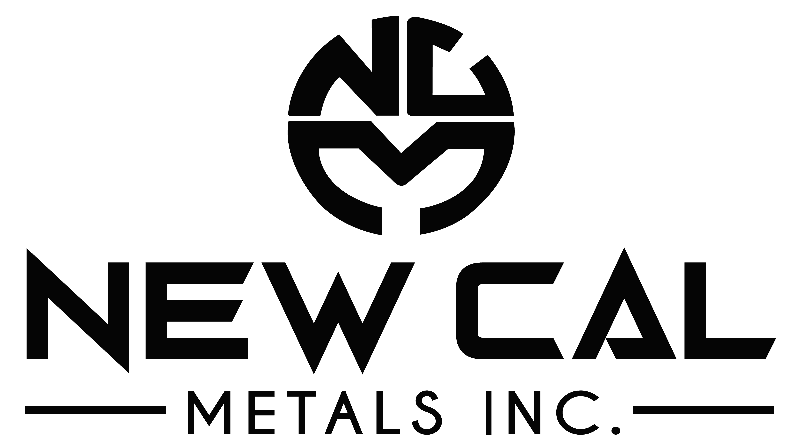 The founders at NewCalMetals, Inc. have worked closely with the inventors and scientists at Firefree Coatings Inc. to bring to market this advanced vent solution. When you buy a Vulcan Vent you help your house protect itself from flame and embers. Combining our quality vents and Vulcan fire stopping honeycomb matrix core with stainless steel ember catching screen has produced unique and remarkable results. See the Vulcan Vent in action. Quick response time from the vent that protects. At left: Graph data captured from actual test. The quick response time of the intumescent coating in stopping fire ‘cold’ from reaching the attic space, due to expansion of the mesh. The blue line shows the results of a standard vent and the bottom three lines show the results of three different Vulcan Vents. After the cells close off they are extremely well insulated and fire or embers cannot penetrate. Even before the cells close off, the vent is designed to protect against flying embers. In many cases embers will attack a home before fire ever comes near, so this feature is very important. 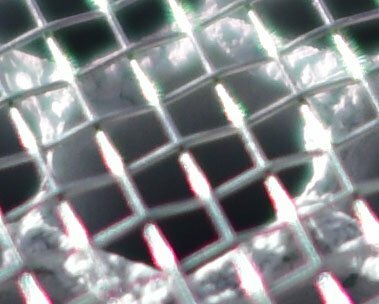 Shown: Magnified close up of mesh and screen. areas.” Under Ch 7a. California WUI building code calls for a vent that will stop floating embers from entering the attic through the eave or soffit vents and at the same time prevent fire from passing through. What makes the Vulcan Vent different is two things: a smaller mesh size and an active defense measure against flame. Once the mesh fully expands in the heat, zero flame passes through. The process uses intumescence. The mesh is coated in a formula that will expand and close off completely (see more info below). See the test reports. The core of our fire and ember safe vents are manufactured out of high grade aluminum honeycomb and coated with an intumescent coating made by FireFree Coatings. The intumescent coating is designed to quickly swell up and close off when exposed to high heat. The expanded material acts as an insulator to heat, fire and embers. As shown Below, the hexagonal coated mesh closes off at higher temperatures, sealing your home’s attic and roof from external fire. Vulcan self-closing vent: Fine mesh screen stops ember entrance. When exposed to flames, the fire resistant coating on the inner honeycomb matrix will expand and effectively fill the space between the cells, creating an effective barrier. Built and tested to be effective defense against ember storms. Standard vent: Always open, with one layer of protection at most from only the largest of airborne objects. Not effective at preventing fire from entering attics and basements, resulting in an encompassing fire. Not recommended for buildings in or near the Wildand-Urban interface. The video is intended to show how quickly and definitively the Vulcan Vent closes off in heat. A minute and a half in and one attic is already reaching extreme temperatures. Our vent frames are industry standard frames so there is little or no learning curve for installers & contractors. Our goal is to provide people with the vents they need to secure their homes with additional safety against wildfires and give them piece of mind from knowing that their home is protected by a product that works! Are you claiming the Vulcan Vent will protect my house from ANY AND ALL wildfires? No. The Vulcan Vent is a “first line of defense” against embers and exterior flame. Can I paint the Vulcan Vents? Yes, with caution. You should not allow paint to contact the inner matrix. You can paint the Vulcan Vents with this in mind. The screen and can be painted over and still function perfectly. Which side of the Vulcan Vent faces into the attic or crawl space? The finer mesh side faces to the attic side or crawl space side. At what temperature does the vent close? The vent closes when the sustained temperature of the intumescent matrix reaches about 300 degrees C. Once it reaches the critical temperature the closure is very fast. What types of embers is the screen made to catch? The screen is made to catch embers from burning vegetation (not metals) that have enough mass capable to ignite the interior. Is there a warranty with every Vulcan Vent sold? Yes. For details, see the warranty section on the downloads page. Yes, the Vulcan Vent product is fully patented. What other products other products that can help improve the fire protection of structures exposed to wildfires does Firefree Coatings make?